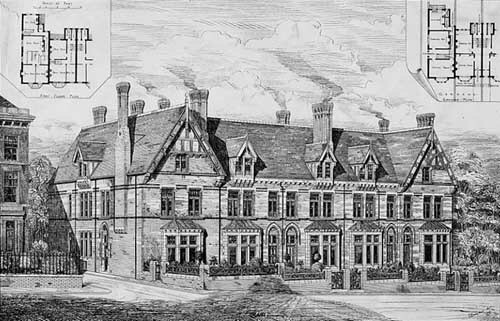 Victorian Leeds: Good or Bad? During the first half of the 19th Century lower class people were moving to the city because there was lots of work in the factories and mills. Middle class businessmen, tradesmen and shopkeepers also came because they thought Leeds offered them a chance to make more money. So where did all these new people live and what were their homes like? As Leeds became more crowded and polluted, many of the wealthier people began to move out of the centre of Leeds to Chapel Allerton and Potternewton. Land was cheap then and they built impressive large houses with huge gardens. These houses would have been finely decorated with wallpaper, carpets, pictures and paintings, fireplaces and expensive furniture. These families often had domestic servants and there would have been a cook, housemaids and butlers. At first workers cottages were built in the yards and courts behind the buildings on the main streets of the town. As the population grew new workers houses had to be built quickly. These were mostly small and built in rows or ‘terraces’ and were ‘back to back’. Whole families had to live in just two rooms, one upstairs and one downstairs. There was usually a cellar that was rented out as a one room living space with no windows. There was usually no running water and no drainage. It would be rare to find wallpaper, paintings, carpet or curtains and the furniture would be very basic. And to make things worse there were no toilets, just ‘privies’ outside the back of the houses. Often these were not cleared for up to 6 months – can you imagine how bad they would have smelt, especially in the summer?! Most of these houses were built in the Bank, Far Bank, Quarry Hill, Mabgate and the Leylands. The worst examples of bad living conditions were at Boot and Shoe Yard in Kirkgate. In 1832 this yard was home to 340 people living in 27 rooms and because there were no toilets, waste was collected in buckets and thrown onto the streets. At one point the yard had not had the rubbish moved for 6 months and when men were sent to clear it they took away 70 cart loads! By the middle of the 19th Century these areas had become filthy slums. One cholera outbreak, in 1832, killed over 700 people and one, in 1849, killed over 2000 people. The symptoms of Cholera are sever watery diarrhoea and vomiting. Victims could die within hours from loss of water from the body. In the overcrowded town diseases could pass easily from one person to another. At that time it was expected that at least one child in each family would die young. 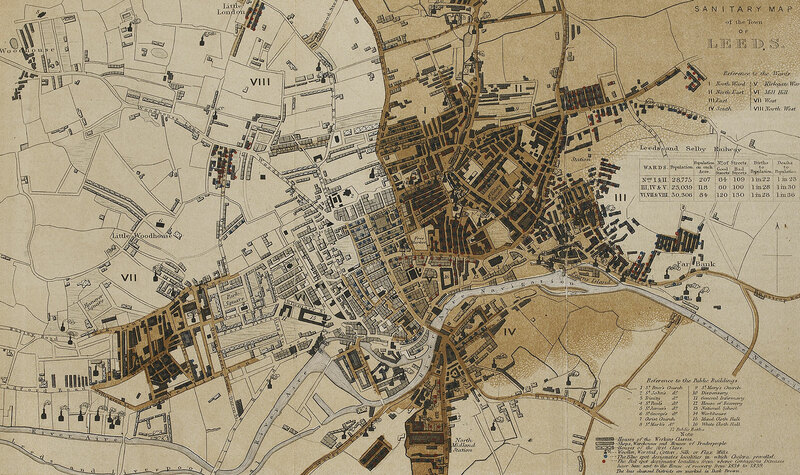 The 1842 Leeds Improvement Act began the slow process of making life better. It wasn’t until 1875 after the Public Health Act that things really started to improve. This Act allowed councils to pull down the slums and build new homes with sewers. By the end of Queen Victoria’s reign, the council had provided gas, water, electricity and trams. It had also created parks and markets to improve life for everyone.